Ferenc Rakoczi was popularly known as Francis II Rakoczi. He was born in the year 1676 in the then Slovakia and eventually went on to become a very famous Hungarian leader. Franciscus II was his full title and he was born in the royal part of Hungary. He brought about many reforms in Budapest and hence became a hero in his lifetime. This statue is dedicated to him. He was also a prince of Transylvania, and a part of the Order of the Golden Fleece. How popular is Statue Of Ferenc Rakoczi? People normally club together Clark Adam Ter and Budapest Keleti Railway Station while planning their visit to Statue Of Ferenc Rakoczi. Francis II Rákóczi was a Hungarian nobleman and leader of the Hungarian uprising against the Habsburgs in 1703. 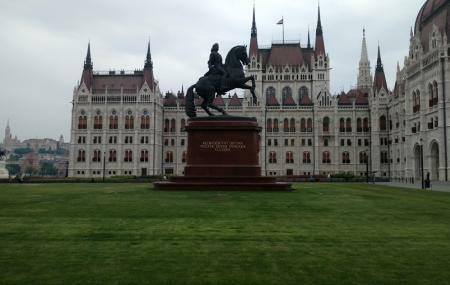 Beautiful building with a prominent horse statue in the main square. This building is just before the main parliament building when approached from within the city. Great place for photos. A nice monument with a great view. If you're at the parliament building it's well worth the short walk to this place.